HARARE, Mar 28 2019 (IPS) - It was one of the worst tropical cyclones hit Southern Africa in recent times. 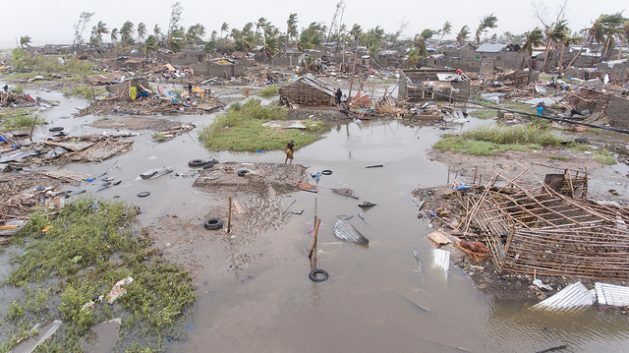 Cyclone Idai, which has been characterised by heavy rains and flooding including mudslides in some parts of Mozambique, Zimbabwe, and Malawi, has left more than 750 dead, with thousands marooned in remote rural areas, whilst others are still unaccounted for. More than 1,5 million people are affected by the cyclone in the region. Birth control is the answer to woes in resource-rich (IN-) dependent states receiving international investment and aid from UN, Commonwealth and PRC. Much is in Swiss banks, lavished on arms, private jets, polygamy and fancy lifestyles. Cyclones are a frequent hazard in the Indian Ocean. Natives kill Caucasian farmers but got aid of £20 million from Britain and $4million from EU. AU citizens in high level supranational jobs and celebrities among diaspora in USA and EU should lead repatriation to develop ancestral homelands and stop begging hard-working foreign taxpayers for cash. Ridiculous! We should invest in WASH in these countries. Water Sanitation Hygiene would help a lot with or without cyclones and we need wealthy countries to put together a Belt and Road type initiative for building WASH and health systems. If, unlike the Chineses, local people were employed, it would lift millions out of disease and poverty, and be a tremendous help to women especially. Women with lower child mortality and opportunity will use their talents to greater goods.